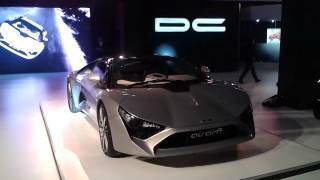 DC Design, an Indian premier automotive design firm, has unveiled its first ever Supercar - the DC Avanti 2013. Bollywood superstar, Amitabh Bachchan, took off the covers for DC Avanti at the Auto Expo event earlier this month. 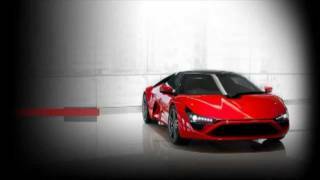 Avanti will be first car that will be the first production car from DC. Let's see how the car fairs in the market once it launches in 2013. 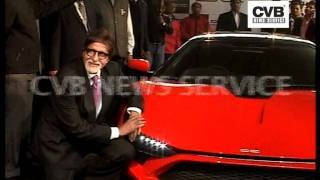 India’s legendary actor and automobile buff Amitabh Bachchan unveils the car in the capital today New Delhi, January 05, 2012 - DC Design, India’s premier automotive design firm has taken a step beyond what it is known and revered for, with its reveal at Auto Expo today, of what is the country’s first ever sports car, the sleekly styled and superbly configured DC Avanti. What makes this a special occasion is that the Avanti is not just a full road worthy prototype but one with production firmly pencilled in! DC intends to go the way of so many Italian carrozzerias (like Bertone, Ghia, Pininfarina and Stola to name four) who not only styled, designed and engineered smashing sports cars but also went on to make them in limited production runs for sale to the general public. change with the DC Avanti, a move that adds another dimension to the multi-faceted design and engineering capability that DC Design has built up at its Pune works! “The Indian market for high end automobiles is on a steep uphill curve as witnessed year-on-year and our focus is at the top end of this rarified niche. The design is completely our very own as is the engineering and also the production process. Type approval and on-road tests would follow soon and we intend to simultaneously set up an all new facility at Talegaon near Pune to build this vehicle,” said Dilip. “We intend to produce 300 units of the Avanti in 2013-2014 and if all goes well we could ramp up production to go into four figures per annum. Till now DC Design was noted for its design and customization but then we added complete engineering and prototyping to our roster of services and working for the world’s biggest names helped us understand and add to our expertise,” added Dilip. “The Avanti is an ongoing culmination of all that we have learnt and we intend to give a sports car to a select new emerging breed of car buyers who value good taste without compromising on performance and who don’t need to spend a fortune on making the adrenaline flow.” He further added. 240bhp at 5500rpm with a massive 366 Nm of torque developed at 3500rpm helping give it both tractability and thrust. If that is not all, the latest electronics will also help deliver strong on the fuel efficiency front as well. Also the engine and its ancillaries are all Euro 4 & 5 compliant already meaning it would be right even for the export markets but the good thing is that it could also be taken further to the incoming Euro 6 legislation with a slight change in the engine mapping characteristics. Handling all that power and torque from the mid-mounted four-cylinder engine is a six-speed manual gearbox. Again sourced from the Ford Europe parts bin, this transmission is robust and reliable and does all it is tasked with. There will also be another transmission option for those who seek an even higher technological plane with a six-speed dual clutch PowerShift unit. steering gear will be standard fitment. Specialists in safety engineering which include the likes of Bosch would be lending their might in developing the latest generation ABS brake systems and SRS air bag technology for the Avanti; ride and handling would be perfected by global experts in this realm and overall body and trim plus final assembly would be done at DC Design’s all new production facility coming up at Talegaon near Pune. The Avanti will be electronically limited to 250km/h and will ride on 19-inch tyres all round. Footwear on the front wheels would be of size 255/35-19 while 295/30-19-sized rubber would do duty at the rear. Helping safety and control given the max velocity and acceleration th e Avanti would pack in, large 330mm diameter ventilated disc brakes with grippy AP Racing calipers come as OE fitment. The Avanti’s low slung silhouette is pure excitement and is unlike any seen from an Asian automotive entity. Sporting a combination of pleasingly complex concave and convex surfaces to deliver great form, the Avanti is fast standing still with its rippling muscles akin to a wild animal waiting to spring onto its prey. Animalistic yet aesthetic in its essence but replete with fine craftsmanship across the entire vehicle, the Avanti can more than hold its own in its class. 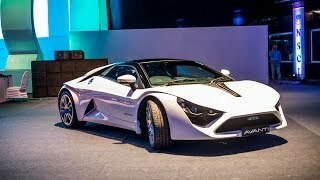 DC has already put in place a unique and dedicated self-owned and managed sales and service network in five major metros in the country (Delhi, Mumbai, Pune, Chennai and Hyderabad) and this would only be honed to a fine pitch by the time the Avanti production commences. An additional four outlets would also be opened in the course of 2012.
basher made in India. More announcements on the Avanti and its bespoke customization to owners’s trim and equipment preferences would follow soon. DILIP CHHABRIA DESIGN PVT LTD was founded by Dilip Chhabria who is qualified in Transportation Design from Art Centre, Pasadena, USA. 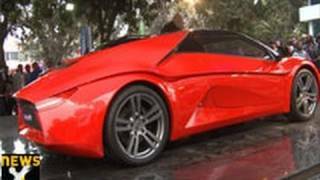 DC Design is recognised as the leading Automobile Designer in India. The company has participated directly in the Geneva motor show, and has always had its products displayed at all major auto shows in Detroit, Japan, Frankfurt and Paris in each exhibition year. DC Design has a 600+ strong portfolio of unique cars/vehicles built and on the road. Its quality of styling and prototyping can be benchmarked against the best in the world. Its capacity of 1 million man-hours of skilled craftsmen translates styling sketches into handcrafted forms in metal/wood. Its USP is to offer 1st world quality at 3rd world prices. Its product offerings span a wide range of vehicles – cars, buses, luxury vans, recreational vehicles, special purpose vehicles, passenger buses and automotive education and research.